Annette Stair is a long time member of 3171, and has been a bartender at 3171 for over 29 years. Unfortunately, she has recently had some major medical problems. 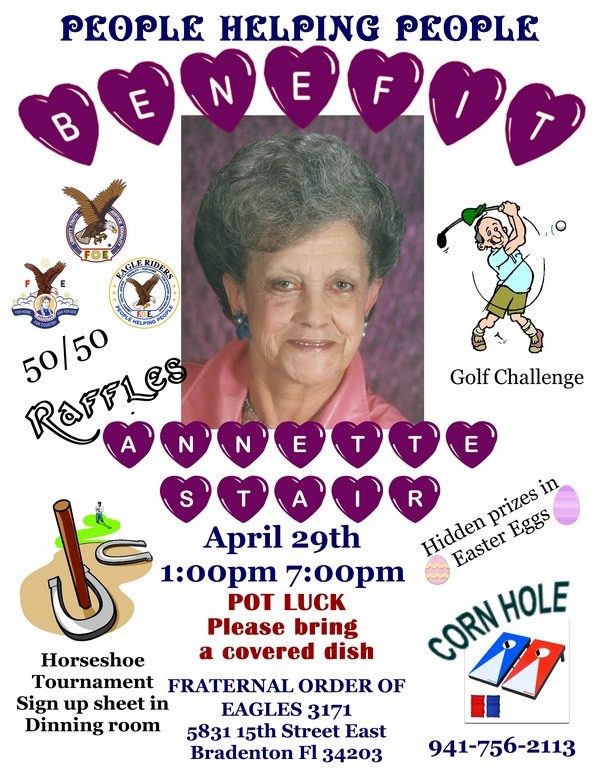 We are showing our love and support for Annette with a benefit to assist her. Join us April 29, from 12 to 7 for a fun filled day to show our love and support. We will have a horseshoe tournament, corn hole game, raffles, 50/50’s and many more things are being planned for you to enjoy. Please bring a covered dish to share with others. Further details will be shared with you as soon as they are finalized.